"I feel better, lighter and stronger every session"
"I could feel her working on me, pulling things out of me"
"I've had a few sessions with Jean. All I can say is how fabulous and connected she is. I could feel her working on me, pulling things out of me. When she was done, I felt so light. I also did an anti aging and I swear, I'm looking better. I love her devotion to her clients and friends. Watching her vids, doing her meditations have been so helpful for me, but to work with her one on one, has been life changing. Thank you Jean for being such a beautiful soul. 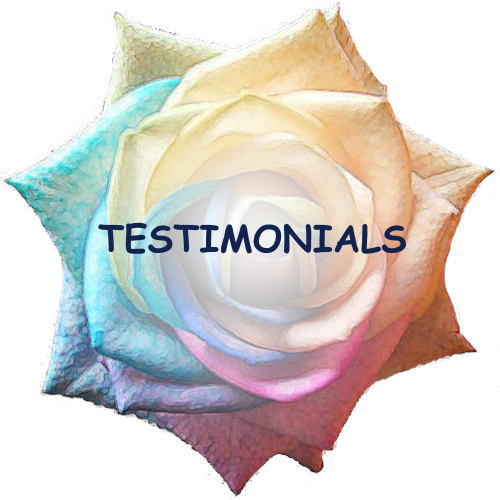 "I experienced her power that is so divine, powerful and loving"
"I would like to share my testimony of the power of Jean’s healing with you. In January 2016. I was diagnosed with a rare form of breast cancer, after discovering a walnut sized lump in my breast. My doctor ordered a biopsy, results came back IBC cancer stage 3. I opted for chemo and radiation first before mastectomy. The doctors in their practice of treatment wanted to schedule me right away for treatment. I told them to give me 10 days, they didn't like this because they had a sense of urgency. Hahaha, i told my doctor i would fire him if he didn’t allow me time. I am a light-worker and healer myself, though have never cured a cancer, so I made immediate changes in diet, and started getting recommendations from friends about a healer...a friend in India, half a world away recommended Jean Salch. He checked with me and begged me to contact Jean. Finally on 9th day I messaged Jean and was surprised by her immediate response. Well Jean asked me to fill a glass with water, we prayed together. And i watched the water begin to swirl in the glass. I drank this holy water, and retired to rest and meditation. The next day I returned to the treatment center. They did an ultrasound and could not find the tumor. Therefore repeat tests and many consultations between doctors and my PCP were held. The final outcome of all that was a cautious proclamation that I am cancer free to this day. I am so thankful to god and Jean for saving me from cancer. I know this is possible because Jean is so full of divine love. She is the real deal….no doubt….this is my testimony and I share it in the name of Jesus Christ...Amen."